Appearance: Hazy burnt orange with a frothy head. Palate: Full bodied but not heavy. More bitter than I expected. A slightly fruity background. Finish: Very good. Chewy hops and stone fruit with a touch of citrus. Parting words: I’ve long been a fan of wheat beers so when I saw this one on the shelf I grabbed it immediately. 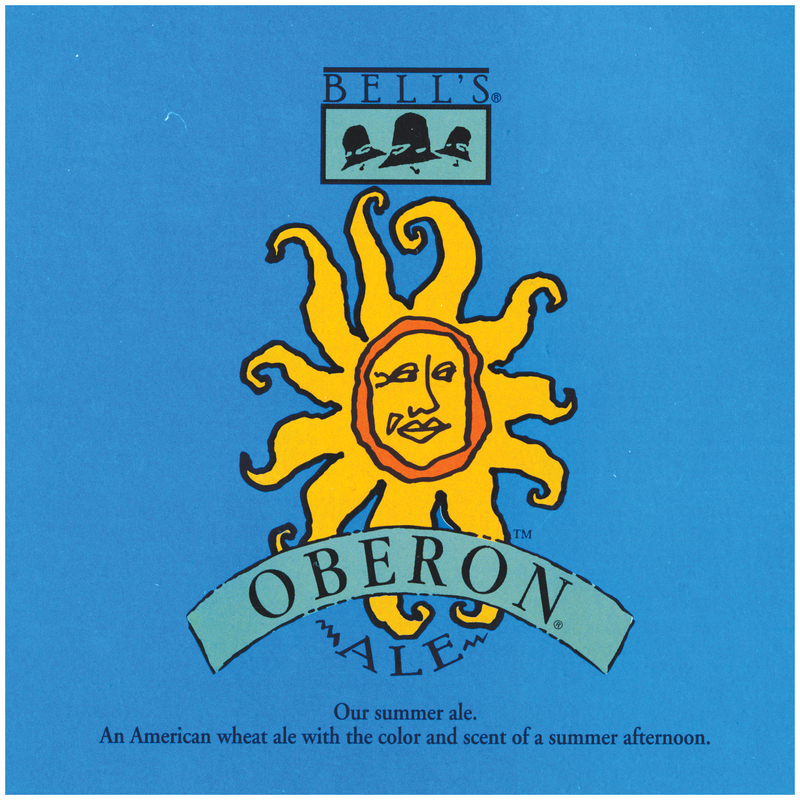 Around these parts, the big dog in summertime wheat beers is Bell’s Oberon, of course. It stands out because of its bitterness, a rare feature in wheats. 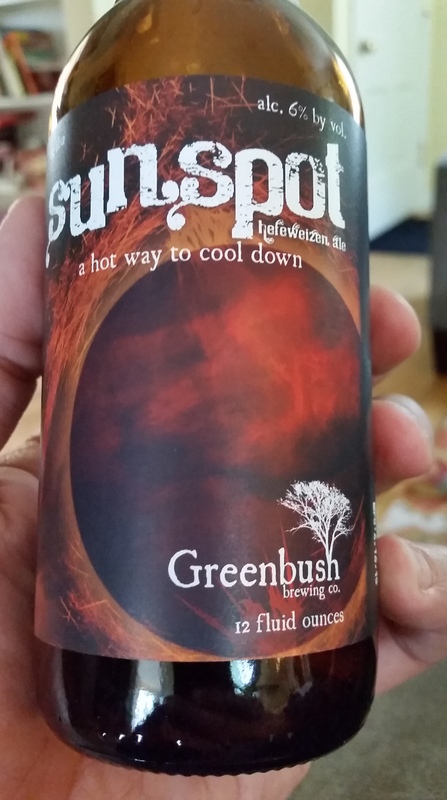 Although Sunspot has an average number of IBUs (international bittering units) compared to other hefeweizen, its bitterness stood out very strongly to me. This may have been a function of my palate at the time, but I found it surprising. I prefer wheat beers with more fruit than this, but I’m not a style stickler either. The price is high for a beer billed as a refresher, but it is tasty. Sunspot is recommended. Style: Wheat beer with brewed with cherry. Appearance: Light auburn with a short-lived, foamy head. Palate: Medium bodied. Slightly sour with sweet malt and a splash of tart cherry juice. Finish: Cherry flavor, some malt and a little hoppy bitterness. Parting words: Not to be confused with Atwater’s Cherry Stout. 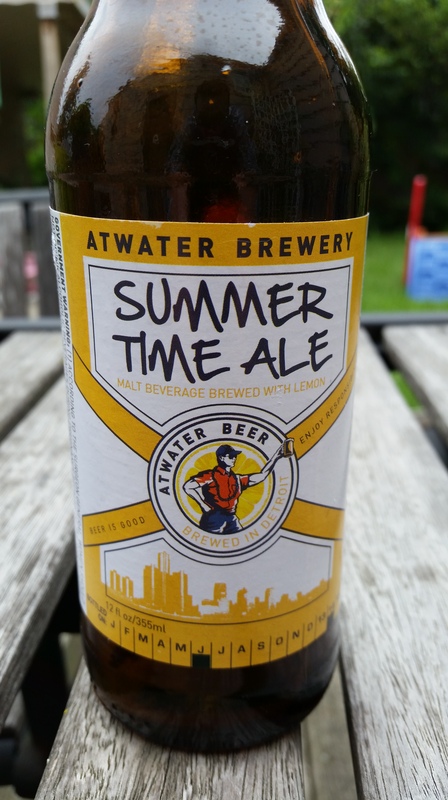 This beer is also included in Atwater’s summer party twelve pack. It’s an easy drinking, lightly fruity and sour wheat beer. Nothing earth- shattering but tasty on a hot and sticky summer evening. Traverse City Cherry Wheat is recommended. Nose: Light with dried flowers and a bit of fruit. On the palate: Full-bodied and fruity. Fried plantains with cracked black pepper, mango, a hint of hoppy bitterness and spice to add balance. Finish: More bitter than fruity, but works well with the flavors on the palate. Well composed from beginning to end. Parting words: Like everything MiP does, this a is flavorful but very drinkable. Comes in pint cans like the rest. Sno is a bit pricier, though, $8 (if I recall correctly) for a four pack. Lots of wheat character without being a banana bomb. Sno White is recommended. Appearance: Dark straw, cloudy and foamy. Nose: Moroccan spicy. Coriander, Meyer lemon, hint of white pepper. 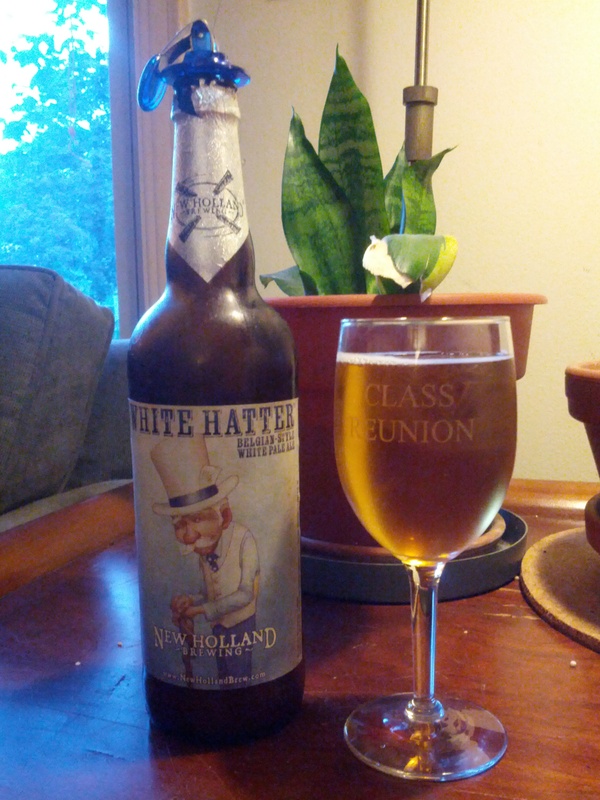 On the palate: Light bodied with lots of spice tempered with a little wheat character. Coriander, faint hints of citrus. Maybe even a little creamy. Finish: Sweet and slightly fruity. Fades fairly quickly. 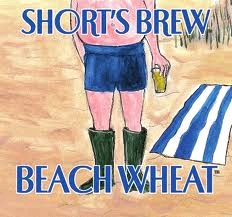 Parting words: This is a summer limited release from shorts in the vein of spiced wheat ales like Whitsun. The spice dries out (in a good way) the normally fruity wheat beer profile. It’s a fun drink, especially in late summer when thoughts of pumpkin ale are in the air. Another good solid offering from Short’s. If I have a criticism it’s that the coriander is a little too strong. I would have appreciated more citrus and pepper. 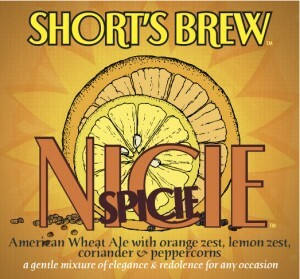 At any rate, Nicie Spicie is recommended. Amy, Jennifer and I review Short’s Beach Wheat on the shores of beautiful Walloon Lake! Maker: North Peak Brewing, Traverse City, Michigan. Appearance: Copper with a pinkish hue. Nose: Tangy but slightly bitter. On the palate: Light-bodied. Little wheat character or even ale character. A bit of bitterness followed by a lot of sweet cherry flavor. Parting Words: Another disappointing beer from North Peak. What little character this wheat ale might have had is completely overwhelmed by the cherry juice. Makes me wonder if covering over a poorly brewed product was the intention to begin with. I don’t think the concept of wheat ale sweetened with cherry juice is inherently a bad one, but there is more subtlety and complexity in a Cherry Coke from Steak & Shake than in this. Maybe it’s time for North Peak to spend some of the time and effort they invest in snappy labels into making better beer. Not recommended. Appearance: Cloudy gold with moderate head. On the palate: Medium bodied. Rounded and light, a little sweet and a little fruity but dry for a wheat ale overall. A nice hit of bitter hops on the back end. Finish: the hops persist in the finish for a long time but eventually fade. Parting Words: Oberon is Michigan’s best known and most celebrated beer. What makes it successful as a summer ale is that it does not have some of the off-putting (to some) aspects of wheat beers. It avoids being a “banana bomb”, like many wheat beers, with deft use of hops. The sweet fruitiness wheat brings to beer is present but kept in check. Oberon is old news to many Michigan microbrew enthusiasts but it remains one of America’s finest ales. Recommended. Summer wouldn’t taste like summer without it!